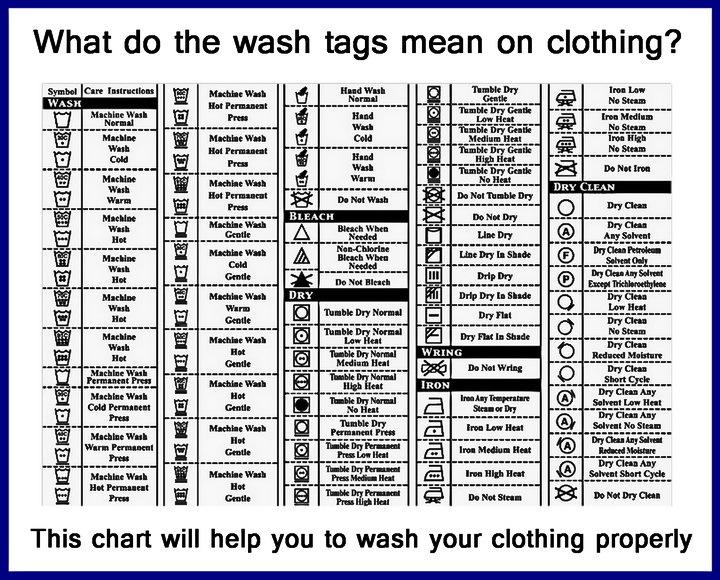 Laundry Charts For Clothing With Symbols On The Tags – What Do They Mean? What Do The Laundry Symbols Mean On Clothing? You might have bought a new shirt lately and it has some strange symbols on the tag. You have no idea what the symbols mean. Below we have Laundry Symbols Charts for you to understand what each laundry symbol means on your new shirt or clothing. 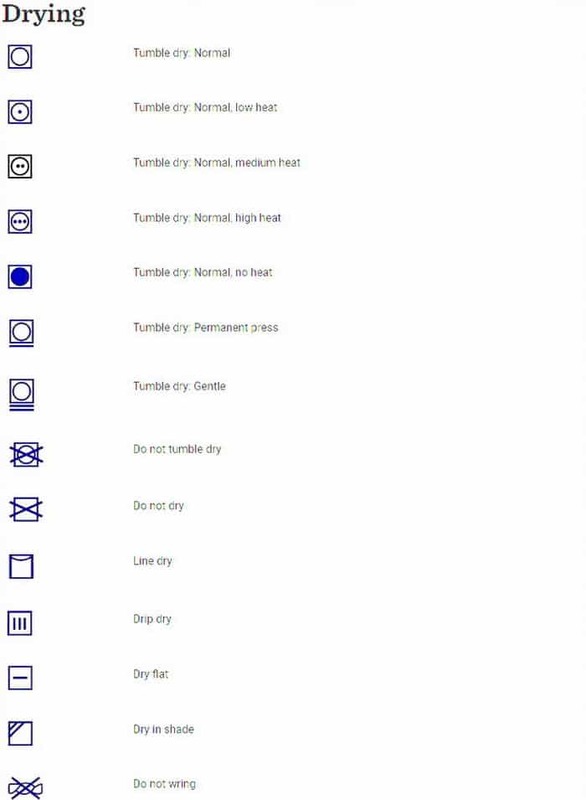 See the laundry symbols charts below and a pdf file to show you what the symbols mean. What does the wash tags mean on clothing? What do Washing / Laundry Symbols Mean? More Fabric Care Symbols Here…. 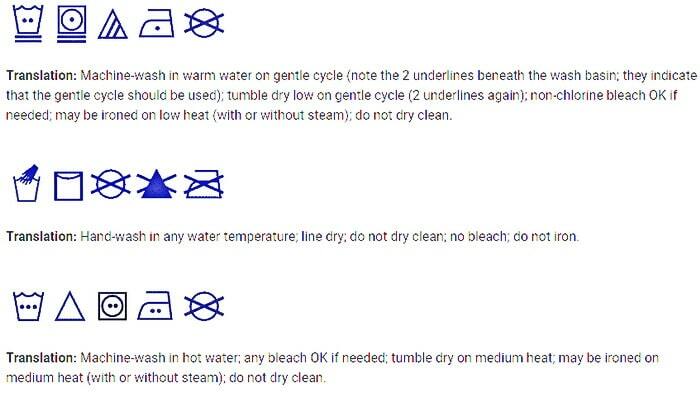 If you need assistance identifying a laundry symbol or have any other questions, please leave a comment below.